Above Ground Pool = F.U.N.! Aqua Pools Online > About > Blog > Above Ground Pool = F.U.N.! Imagine yourself spending your summer relaxing poolside, while your kids enjoy splashing around with their friends. Now, imagine that scene without having to endure a lengthy pool building project. That carefree feeling is exactly what you get when you invest in a Doughboy above ground pool. Don’t worry, skipping out on the building project doesn’t mean you have to skip out on the fun. Above ground pools still offer the same fun activities that are available to you with an in-ground pool. Many people think that the size of an above ground pool will limit what can be done in the pool. We beg to differ. Doughboy pools come in sizes up to 41’ x 21’ that can accommodate pretty much any activity you can think of. If sports are your thing, you can get a floating basketball goal or volleyball net that can instantly turn your pool into the court of your choice. Want something with a little slower pace? Get a floating ping pong table and show off your mad ping pong skills in the pool. Floating tables and waterproof cards can make your above ground pool the perfect place for a poker night. Lap swimming more your style? 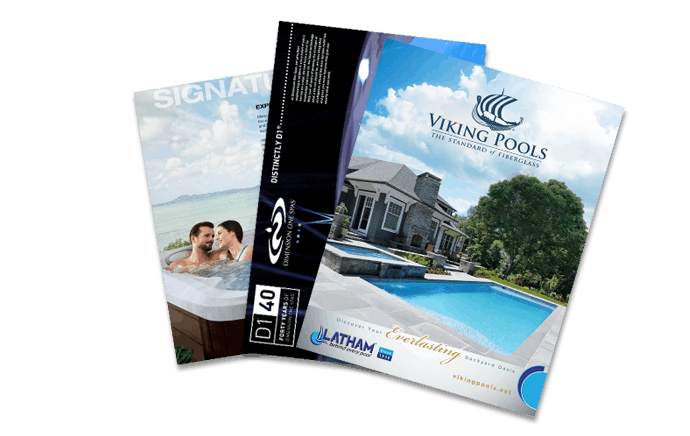 Doughboy pools can be special ordered in a couple of sizes specifically designed for lap swimming. What more could you want from a pool? We’ve convinced you that the water activities are the same, but what about poolside activities? After all, sunbathing while you stare at a pool wall definitely doesn’t give you the same vibe as laying right next to the crystal blue water of an in-ground pool. Fortunately, there are some great options for your poolside activities. The main way that you can accommodate these activities is with proper decking. Well-planned decking around your Doughboy Pool can provide the same pool surround space that you would get from an in-ground pool patio. You can have a space for your lounge chairs and pool toys. You can even create a great flow from your pool area to your Big Green Egg and outdoor eating area. If the raised decking of an above ground pool is still not speaking to you, there is another option. Recessed pools are becoming more popular. Basically, part of your pool is set in a dug out area of your yard and the other part is still exposed. Think of a walkout basement design, but for your pool. It is a great option if you have a sloped backyard. The recessed pool gives you a smaller, less expensive building project, when compared to an in-ground pool, but still allows you to have an even elevation across all of your outdoor areas. No matter what option you choose, an above ground Doughboy pool is sure to deliver all of the fun and relaxation that your family is looking for along with superior quality and durability. Best of all, you get to spend your summer enjoying your pool, rather than stressing over a building project. Our skilled staff at Aqua Pools would be happy to help you design the perfect pool for your family.